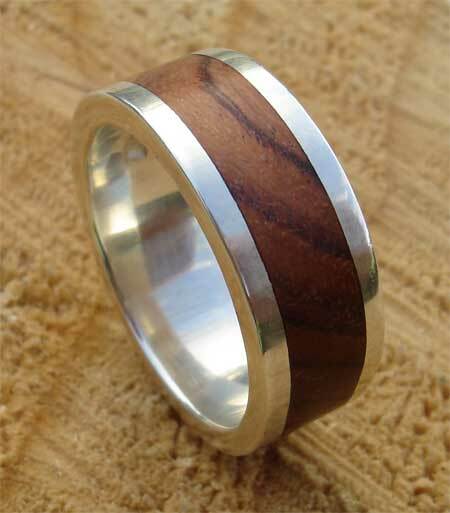 Men's Wood Inlay Silver Wedding Ring : LOVE2HAVE in the UK! 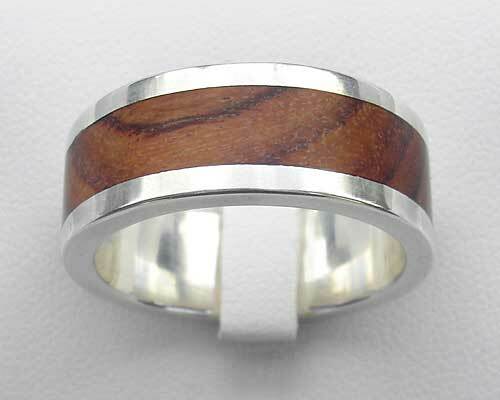 This flat profile, men's wood inlay silver wedding ring is a wider version of the narrower model listed in this section. It measures a total width of 8mm so is an excellent choice for a man. The Oak inlay is 5mm in width, and the silver comes nicely finished. We can match the narrower ring in the same finish also. This handmade ring features authentic rustic styling just like all the other rings in this section and when purchased together with the thinner version they make a very unusual wedding ring set.